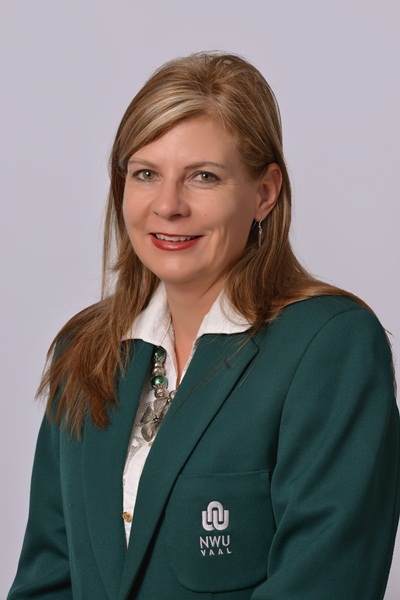 “Challenges are the stepping stones we need in order to become successful.” This is the message from Prof Linda du Plessis, Campus Rector (acting) of the Vaal Triangle Campus of the North-West University (NWU Vaal) at the beginning of the New Year. In her first address of the year, Prof Du Plessis extends her good wishes to the community and calls upon all members of the extended campus community to embrace the challenges and opportunities that 2017 will bring. According to Prof Du Plessis, the campus is ready and rearing to start with the 2017 registration process and is eagerly awaiting the arrival of the new cohort of first year students. With the 2017 academic year still in its infancy, the campus has already managed to achieve great national and international recognition. Prof Adéle Nel from the School of Languages was awarded one of the six prestigious ATKV-SA Academic prizes for her work done in the Afrikaans language. The acting campus registrar, Mr Neels Vermeulen, received international acclaim when he was awarded for his outstanding contribution to education during the recent African Leadership Awards hosted in Mauritius.